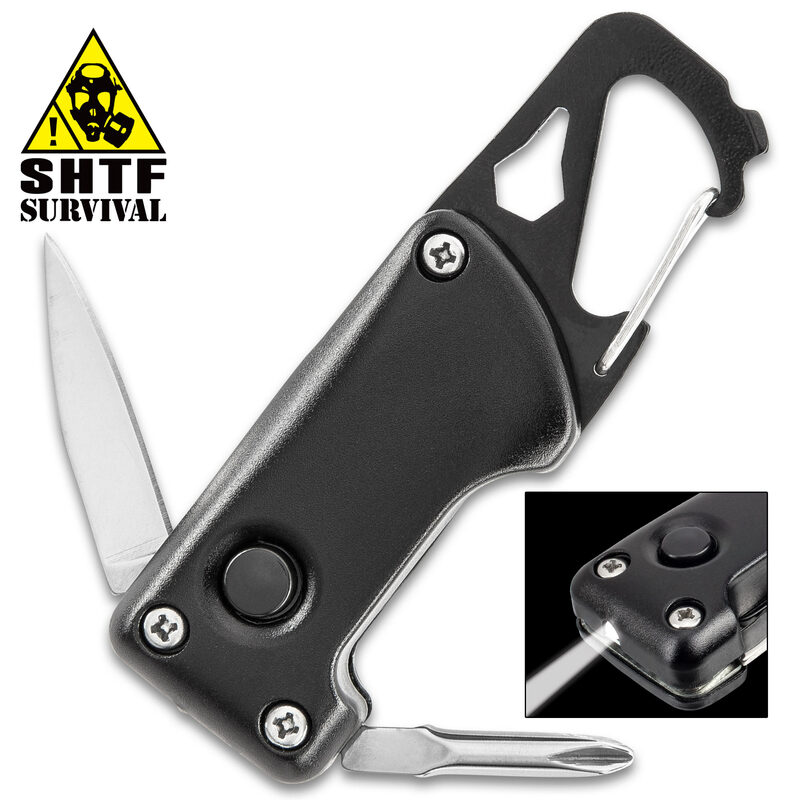 BugOut Six-In-One Multi-Tool With LED Micro Flashlight - Flat Head And Phillips Screwdriver, Wrench, Knife, Spring Clip - Dimensions 3”x 1” | BUDK.com - Knives & Swords At The Lowest Prices! 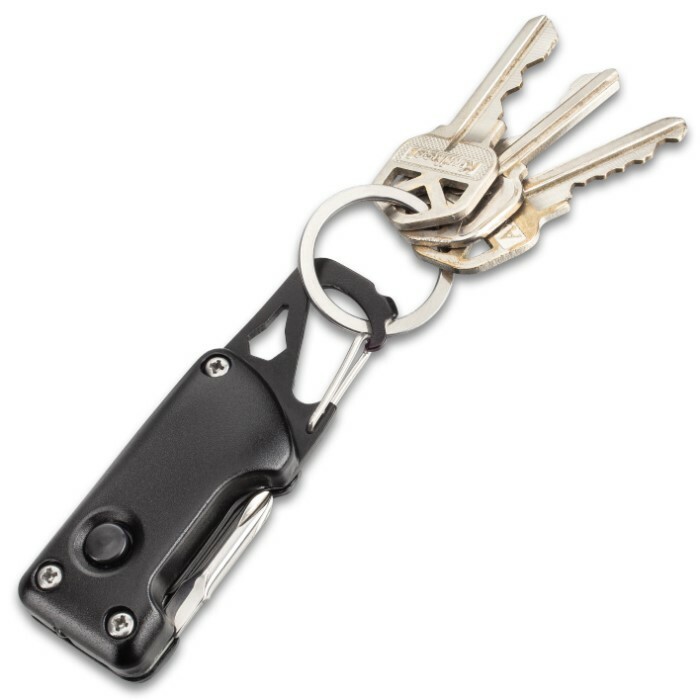 The BugOut Six-In-One Multi-Tool With LED Micro Flashlight is a great little addition to your keychain or to your gear. 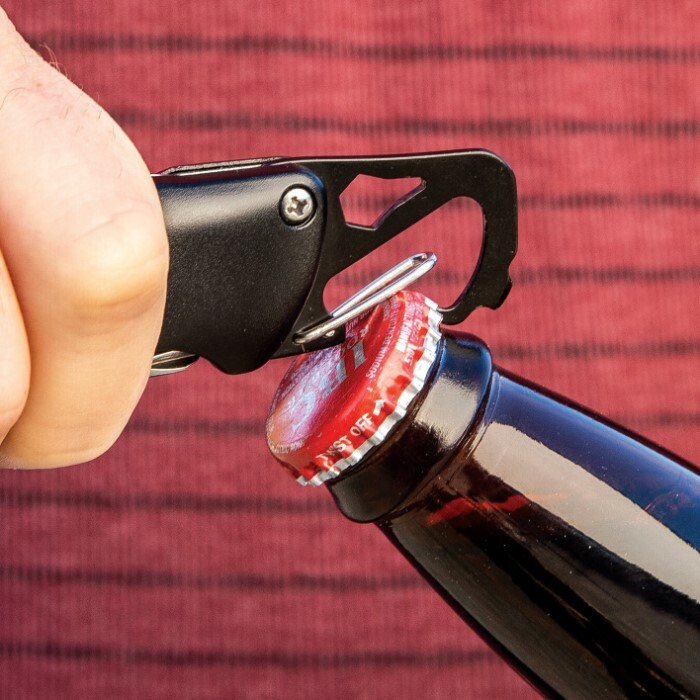 Each of its features is something that you end-up needing, when you least expect it, for tasks that can come up daily. 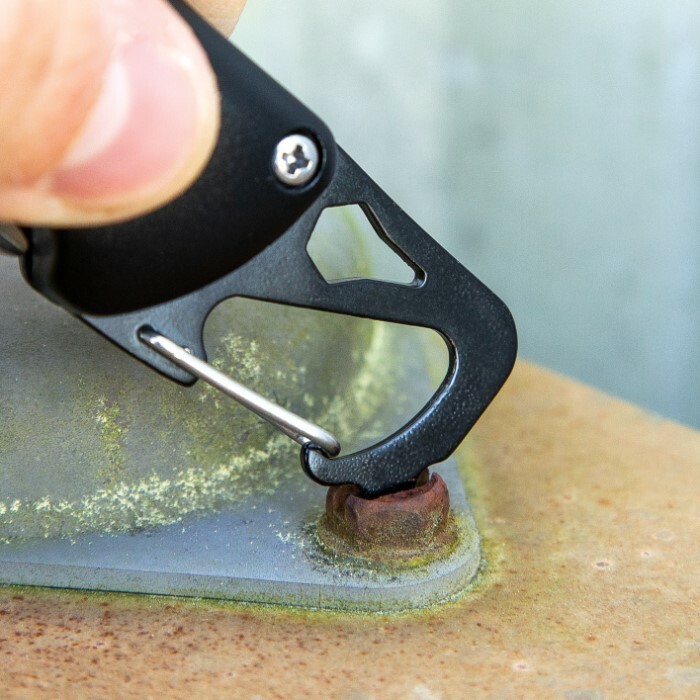 The multi-tool has a tough, black aluminum handle and its tools and spring clip are made of rust-resistant stainless steel. 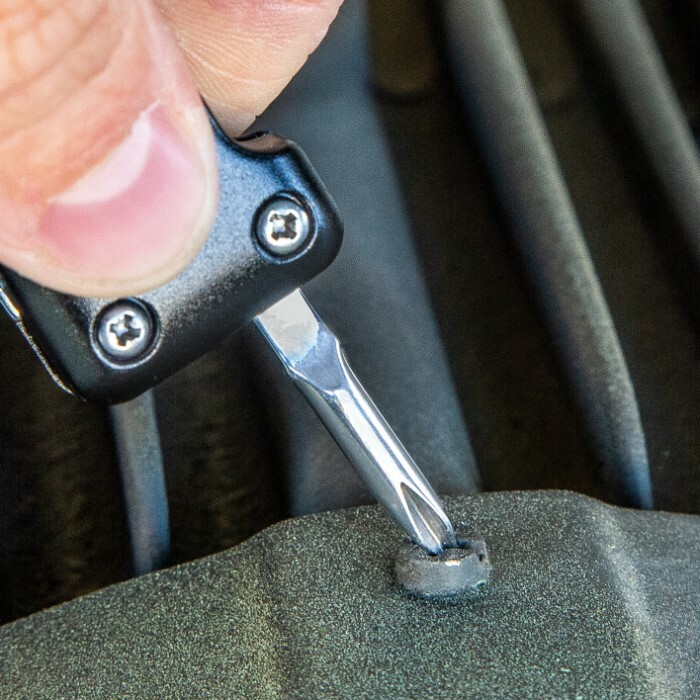 It has an integrated spring clip, wrench and flat head screwdriver, plus, a fold-out Phillips head screwdriver and knife. 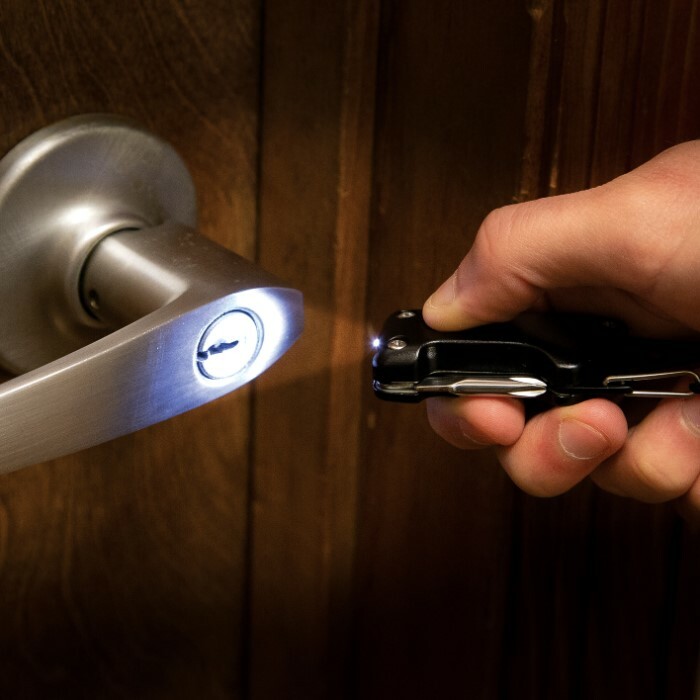 The convenient keychain size, 3”x 1”, six-in-one tool also features a super bright, LED micro flashlight.